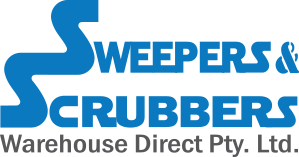 Sweepers and Scrubbers Warehouse Direct (SSWD) is an industrial cleaning machine supplier based in Dandenong South, Melbourne. Our family run company comes with over 25 years of experience and expertise in the Australian market. We cater to businesses of all sizes and can provide knowledgeable guidance to the product best suited to your needs. SSWD provide sales/hire of new industrial sweeping and scrubbing machines, vacuums, pressure washers etc. However, we also have a range of reconditioned, fully serviced second-hand machines ready for use, as well as stocking a full range of spare parts. Sweepers Scrubbers Warehouse Direct Melbourne have been importing equipment from Europe for many years but we are also a key dealer for Nilfisk and Viper equipment. Our dedicated service technicians are based in-house but we do offer on-road service, with fully equipped vehicles, to help maintain your machines. Since the launch of SSWD we have been committed to providing our customers with the best service and at competitive prices for quality products. We encourage you to visit our showroom or call us for more information on the products advertised. View our product range now! SSWD import the highest quality sweepers available and deliver and maintain them with the highest quality of service. SSWD import the highest quality scrubbers available and deliver and maintain them with the highest quality of service. We have an ongoing commitment to conduct our business using best industry practices and in a transparent manner while at the same time offering an unmatched access to offshore products. Sweepers Scrubbers Warehouse Australia provide you with the leading brands in cleaning equipment and sell directly to Australian business of all sizes. Our range caters for all environments from your warehouse to a stadium or shopping centre.